Hydrogen sulphide gas is usually an unwanted component in any gas stream. Its removal is our business. The biogas standard configuration for hydrogen sulphide, located on the vacumm side of the gas blowers. The horizonal, modular construction is well-suited to remote locations, being suitable for transfer in standard transport containers and assembled on site. There is a wide range of possible applications for in-vessel bio-scrubbing of hydrogen sulphide. Organics is interested to tackle diffiuclt and unusal applications. 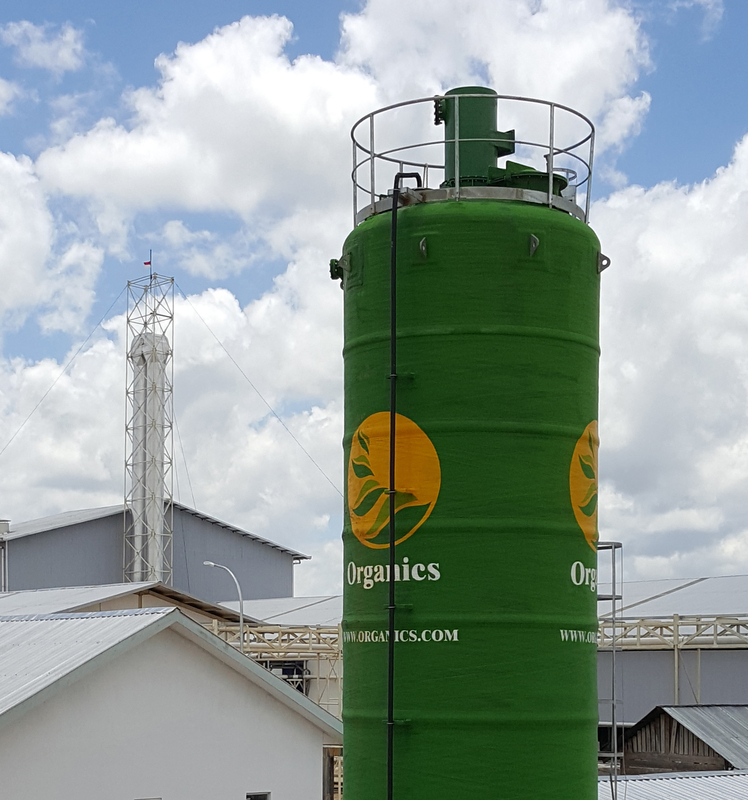 Organics is able to offer a range of ancilliary plant and equpment, from open and enclosed flares to anaerobic digesters and waste water treament facilities. Data collection at the outset should be directed towards understanding the performance objectives of the finished facility. As well as the straightforward requirement to reduce H2S, there are often other equally important factors which must be addressed, such as the rate of start-up and the ability to respond to rapid changes in loading. There are often many constraints to a specific installation. These include aspects which may be obvious, such as access limitations, as well as less obvious issues, such as the maximum gas temperature on the inlet and fluctuating pressures. Once a clear pitcutre has been obtained of the situation in which equipment performance is to be expected, it will be possible to commence the process of coceptually building a solution. Where this is a standrd application, such as with POME biogas, this will be a matter of choices. Should an untested application be involved, care must be taken to address all requirements and constraints. The final stage of the process is delivery. From detailed design, through procurement, manufacture, delivery, installation and commissioning, there are many details which must be coordinated. Through regular internal and external reporting, as well as maintenance of on-line systems, Organics keeps close coverage of all aspects of delivery. Experience gained through multiple applications in a range of diverse duties. Organics has been active in the process industries, constructing bespoke plant for client-specified duties, since 1985. First technologies were combustion engineering, for the safe flaring of hazardous gases, and the utilisation of renewable gases, such as landfill gas, biogas and syngas. 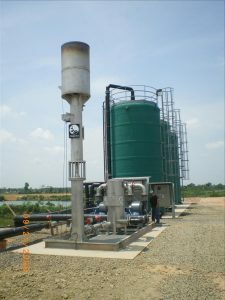 The first H2S bio-scrubber was commissioned in 2005 to deal with biogas feed to a gas engine. Since this time experience and expertise has been strengthened. The key parameter to define to establish preliminary sizing is the maximum hydrogen sulphide mass loading. This is obtained from the gas flow rate and the mass removal rate of H2S, i.e. the influent concentration minus the effluent concentration. To define materials of construction the pressure, temperature and corrosive nature of the gas flow must be determined. Organics H2S is a division of activity within the Organics Group of companies.